Dr. Daniel Sanders, The Boeing Company, has been selected as the recipient of the 2015 Industry Engineer of the Year Award in recognition of his leadership in industrial integration of new technologies in aerospace manufacturing. He has been involved in a variety of metals materials and process development activities, with a particular focus in manufacturing using advanced alloys such as titanium. Although he is an accomplished inventor, he is best known at Boeing and the industry as an industrial integrator of new technologies, having implemented numerous new manufacturing processes and aerospace alloys into production. One example of his direct application of engineering science has resulted in the creation of a factory at the Boeing Auburn Fabrication plant, which employs over 450 people engaged in titanium manufacturing such as superplastic forming, diffusion bonding, heat treating, robotic assembly, and welding. Dr. Sanders’ inventions related to titanium laser welding, friction stir welding, diffusion bonding, and superplastic forming have led to a reduction in the waste associated with the manufacturing of titanium airplane components. Using these novel methods, the buy-to-fly ratio (amount of material purchased divided by the amount that is actually used) has been reduced from as high as 32:1 to a level with much less scrap, around 3:1. Reducing the machining and amount of scrap not only reduces the overall cost, but also reduces the amount of electricity needed to build aircraft components. Dr. Sanders was selected by the Society of Manufacturing Engineers to be one of their representatives to the ABET accreditation board, which audits the quality of engineering degree programs offered by universities around the world. He also assists the engineering degree programs at the University of Washington and Central Washington University as a consultant for managing their curriculum and degree programs. 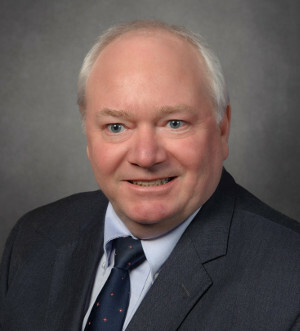 Dr. Sanders is an active member of several engineering societies, such as ASM International, Society of Manufacturing Engineers, Society of Automotive Engineers, and American Society of Mechanical Engineers. Many of his technical papers have been published in society journals, and he has participated in many continuing education programs sponsored by these professional organizations. He also has been active with the FIRST Robotics Challenge for high school students in Washington and Oregon.